This year, Panama holds the number one spot in International Living’s Annual Global Retirement Index. 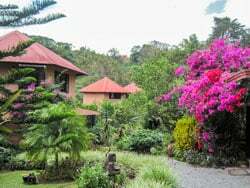 Being a retiree in Panama myself, I agree that it’s a great place to retire. The word for retirees in Spanish is “jubilados.” I’ve always loved that, because to me it sounds like “jubilant” and shouldn’t we all be jubilantly happy in our old age? In Panama, jubilados are treated with respect and receive special benefits due to their elder status. In nearly every business in Panama you will find cashiers and service windows designated for jubilados, so we don’t have to wait in long lines. On a crowded bus a man may not give up his seat for a young woman, but he will for a jubilado. With Panama’s famed pensionado (retiree) visa, women over the age of 55 and men over age 60 are entitled to discounts on medical services and medicines, plane, ferry and bus fares, hotel and restaurant bills, entertainment such as movies and concerts, certain professional services, and more. See here for more information on Panama’s pensionado visa and other residence options. Outside of Panama City, businesses may automatically grant discounts based on your appearance, and local stores may even offer additional discounts. At Super Baru, one of the grocery stores I frequent in David, they give a discount to retirees on the two days per month that they receive their retirement checks, and I have been granted this discount without showing any documents (and I don’t even have gray hair!). Panamanian culture values older citizens and welcomes retirees. Bocas del Toro, on the Caribbean coast, supports a water-based expat community. There is no shortage of options for those who want to remain active, who want to contribute, or who want a busy social life. In areas where there is a concentration of expat social clubs and groups, you could engage in a different activity every day. Other areas are less organized and may require more effort to connect with peers. 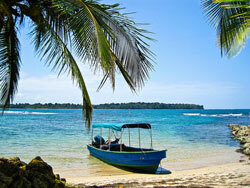 For example, Bocas del Toro, on the Caribbean coast, supports a water-based expat community. Many residents are current or former boaters, and they maintain a communication network via VHF radio. Members of the radio network announce special events, share local news, provide weather data and stay in contact with one another. 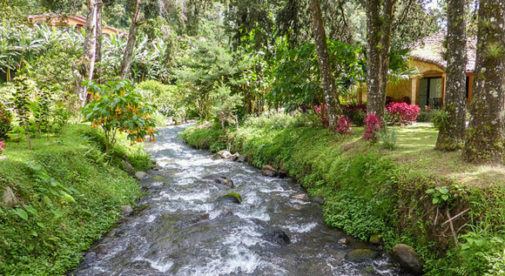 The Bocas Garden Club is popular, a group of ladies meet regularly for Mah-jong games, and the volunteer organization BESO provides school scholarships to local children. The small western highland town of Boquete is a cultural center for expats with a community center and a library. Boquete, a small town in the western highlands popular with expats, has become quite a cultural center with a variety of active groups. The library hosts the art and photography clubs, as well as story time for the kids. The Boquete Community Event Center is home to a theater group, the Tuesday market and meeting, and the scene of various events throughout the year. One of the biggest annual events is the Bid 4 Boquete Auction and Sale, which raises funds for a number of volunteer and charitable groups who help others in their community. Boquete also boasts music, crafts, food, birding, hiking groups, and more. Volcan is another western highland town where there is a growing expat presence. A local restaurant hosts a weekly market where friends gather, volunteers have set up a recycling center, and the sewing and garden clubs are popular. The equestrian group brings horse-lovers together for trail rides and cabalgatas—the processions of elegantly decorated horses and riders that are part of the parade celebrations of Panamanian holidays. I live just outside of David, which is home to many expats, and we are spread out over a large area. A small expat group meets once a month and maintains a yahoo chat group, but there is no organized structure or central meeting place. The rural towns of Santiago, Penonome, Chitre and Las Tablas all have some expat residents, but also lack an organized social scene. You could get by in places like Coronado with only English, but learning Spanish is a fun and rewarding way to pass your time. One of the most important things you can do to have the best experience in Panama is learn Spanish. There are places where you can get by with only English, but they are few (namely Panama City, Coronado, Boquete and Bocas del Toro). Do you really want to just get by, or do you want to fully participate in society, communicate with your neighbors and integrate into your community? Most rural Panamanians do not speak English and you will always be viewed as an outsider if you don’t speak Spanish. 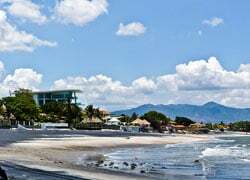 It is not necessary to be fluent, but having a basic knowledge and vocabulary and being able to have a simple conversation will make your retirement experience in Panama a thousand-fold better. For those who want to study at home, Warren Hardy is an expat living in Mexico who has developed a Spanish course especially for adults. Click here for more. Here in Panama, Habla Ya Spanish School has locations in Boquete and Bocas del Toro and a wide range of course offerings. For more information, see here. The concept of retirement means you can spend your time the way you want to, rather than the way someone else pays you to. We all want to avoid boredom, so we need things to do to keep busy. Many of us also want to feel productive, to make a contribution in some way. And whether we realize it or not, being part of a community, having friends and feeling like we belong plays a big role in our happiness and well-being. Your retirement experience in Panama can be as active and fulfilling as you want it to be.